If you are interested in growing organic vegetables, you will want to know what the organic manure standards are. Manure and compost are important ingredients in any organic garden. Since manure is used so much in the organic garden, it is important that it be organic as well. After all, the manure will retain any chemicals, toxins, or hormones that have been fed to the animal that produced it. When it is spread in a vegetable garden, manure breaks down. Everything in it enters the soil, which includes nutrients as well as toxins. 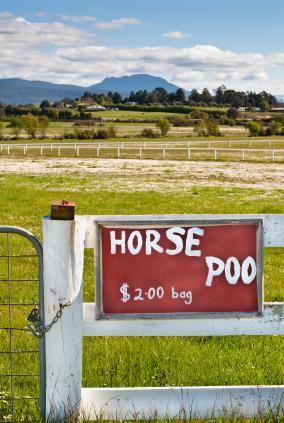 Whether the manure is used "raw" (fresh or dried) or composted, it will still carry potentially toxic substances. The only exception to this is if it is manure from an animal that has been raised according to organic practices. The National Organic Program Standards (NOPS) requires that organic vegetables not be treated with any kind of manure within 120 days of harvest to guard against illnesses such as salmonella and e Coli. This includes organic manures. While there are no specific organic manure standards, in order to qualify as organic the manure would need to come from an animal that was certified organic. For example, a dairy cow that produces certified organic milk will also produce certified organic manure and chickens that produce organic eggs will also produce organic manure. In addition, the manure will not have been irradiated to kill off germs or possible weed seeds. Using organic manure as a fertilizer or as an addition to compost is an important part of sustainable agriculture and organic farming. While there don't seem to be clear standards specific to manure, the general organic standards would apply.